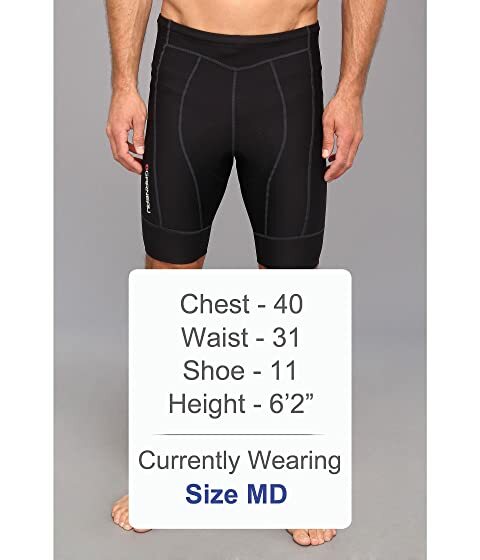 Whether you're a road warrior or a trail blazer, the Louis Garneau® Fit Sensor Shorts keep you riding in comfort. Ergonomic fit in an 13-panel, body-hugging construction. Fit Sensor fabric is a double-layer knit with a high degree of resilient stretch for improved range of motion and support. Moisture-wicking brushed back distributes warmth for improved thermoregulation. Airzone Chamois is a high-density perforated memory foam with Beveled Molding Edges that offer a smoother transition from chamois to short, reducing pinch points and chafing. Chamois features four-way stretch, moisture-wicking construction, and venting for improved breathability. UPF 50+ fabrication blocks harmful Ultraviolet A and Ultraviolet B rays (UVA and UVB). Elastic waist with inner stretch drawstring. Seamless inner leg reduces bunching at the saddle.